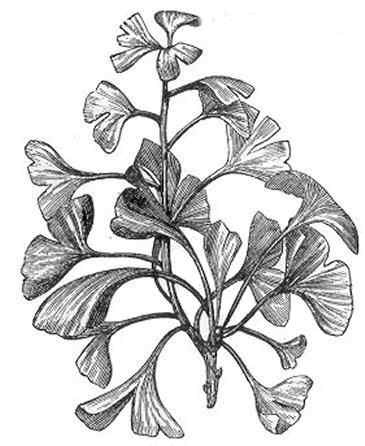 Scientific noun: Gingko biloba L. = Salisburia adiantifolia Smith. The word comes from the Chinese “yah-chio“, foot of duck, for the form of its leaves. This name became in Japanese “ginkyo”. Other studies seem to suggest that the name comes from the Japanese “Yin Kuo” that means apricot of gold and makes reference to the nuts that appear inside its false fruit. Habitat: Plant from China. (In the state of Chekiang some wild samples still exist). 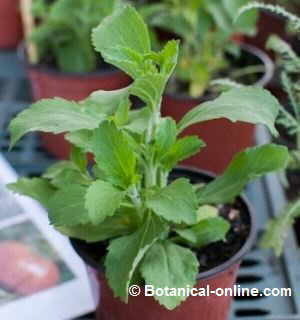 In the rest it is used like a cultivated plant in parks and gardens. Deciduous dioecious tree of the ginkgoaceae family up 30 m. Male trees with a pyramidal form; female ones broader in the superior part. Erect trunks with gray furrowed bark. Coriaceous leaves, glabrous, green yellowish, till 12 cm wide and 10 long, flabellate, with two lobes (bilobulate, whereof the name ” biloba” comes), nerves springing from the petiole in form of rays. Male and female flowers in different trees. The male ones in yellow catkins and more numerous that the feminine ones that are born in couples or isolated on long peduncles. False fruits in eatable drupe till 5 cm long, rounded or ovoid, yellowish when they mature and with very bad scent. They contain two seeds protected by a hard bone. 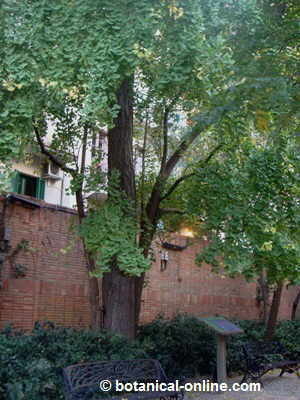 Ginkgo is the oldest tree in the world. It is the only alive representative of a family that existed more than 200 million years ago. We find written references of its existence in the XI century, but there are living samples at the present time more than 1000 years old. Fossils found demostrate that it lived with the dinosaurs. The first sample was discovered in 1916. It was F. Meyer, an American explorer, who found it in a hidden valley in China. 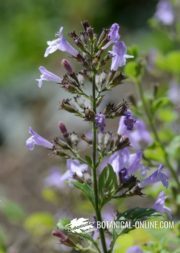 The reason of its survival, apart from a natural resistance to the parasites and the pestilence of its “fruits” that made it not to be eaten by animals, it is in the fact that it has been considered as a sacred plant in China. This is the reason why it was planted around the temples and received such a great veneration. Its reproduction form is very old. 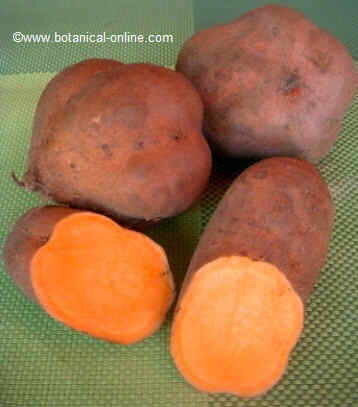 Superior plants (angiosperms) posses seeds that are locked in the fruits which are swelled mature ovaries. At the age of 30, more or less, The female species of ginkgo produce a kind of a yellow ” egg ” before being fecundated by the male pollen. Naturally many of these “eggs” are sterile and they rot without producing any descendants. It is not necessary that fecundation takes place on the tree but it can also be carried out in the floor, once the “egg” has received the pollen brought by the wind. The ” eggs ” contain a single seed that needs to enter in contact with the male pollen to mature. Contrary to the rest of the seeds of the vegetable world, it is not able to resist a period of time without germinating, so that, if it doesn’t enter in contact with the male pollen, it will rot. For this reason, it is not still considered as a real seed. This reproduction species is very primitive, it supposes a very big waste of energy and it doesn’t resemble at all to the reproduction of the superior trees that is carried out from true seeds. 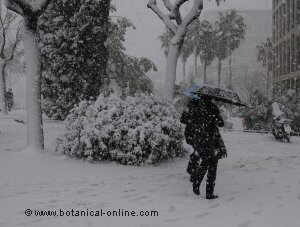 The leaves are contained in groups of 3-5 on some special stems, just as it happens with the pines. In fact this tree, the same as the pines, the firs or the redwoods, is a gymnosperm, that is to say a plant that reproduces from exposed seeds or ovules. The superior plants or angiosperms (plants with flowers), have seeds locked in the fruits that are produced by the fecundated ovaries. 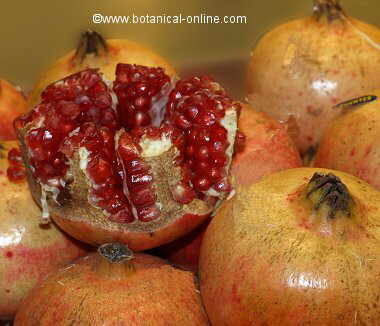 So, in superior plants fruits are only produced when flowers are fecundated. Ginkgos produce a sort of false fruits previously to fecundation. In fact most of them become rotten before being fecundated. 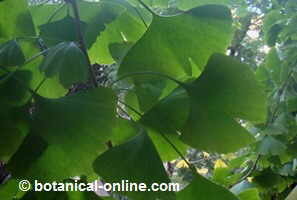 Ginkgo constitutes one of the best remedies to improve blood circulation. 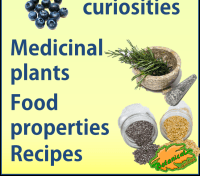 The reason is the power the extracts of this plant have to dilate blood vessels what makes blood circulate more flowingly. It seems that flavonoids exercise a vasodilator action on the walls of the arteries and capillaries at the same time that they prevent platelets to deposit inside them. 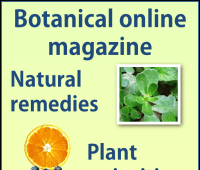 More information about ginkgo benefits.